Silicon Rubber Cable High Voltage 7mm (priced per foot). Click on images for close-up view. The BCU 370 controls the blower and moves the butterfly valve to pre-purging and ignition position. It issues the Enable signal to the control system after start-up of the burner. In addition to controlling the forced draught burner, the burner control unit also monitors the fail-safe function of the two solenoid valves for gas via the DG gas pressure switch. A pilot burner ignites the main burner and is switched off during the main burner’s safety time. 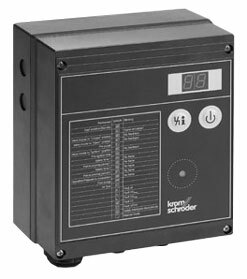 Mains voltage: 120 V AC, -15/+10%, 50/60 Hz, for grounded or ungrounded mains. Fan: Max. 3 A, start-up current: Max. 6.5 A < 1 s.
The outputs may be loaded with a max. total of 4 A. Connections: 1x M25 multiple screw connector, 4x 7 mm cable grommets. 2x M20 multiple screw connectors, 2x 7 mm cable grommets, and loosely enclosed. 1x or 2x M16 plastic screw connector(s) for the ignition cable(s).